Rebelscum forum member “Nighthawk” has posted new images from the packaging for Hasbro’s Rogue One U-Wing and TIE Striker vehicles that shed light on the NERF launching features of both fighters. 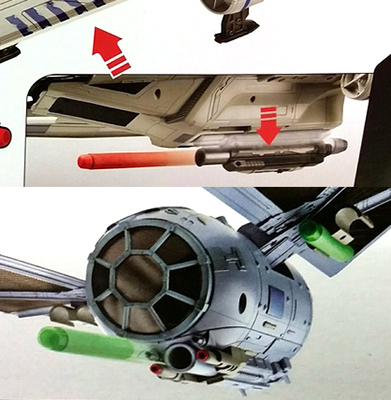 It appears that the launcher for the U-wing is retractable (not removable) and the TIE’s is a fixed position cannon. These were found at retail in Canada ($59.99-$69.99). From 4-LOM to Zuckuss has revealed the first look at Hasbro’s upcoming U-wing fighter vehicle from Rogue One. The fighter fires NERF darts and includes an exclusive Cassian Andor figure. Head on over for the full reveal. Score! 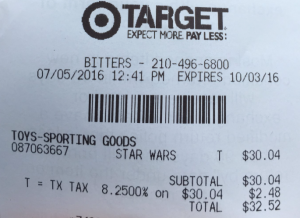 Millennium Falcon was marked 50% off at Target, $59.98, but instead rang up for $30! 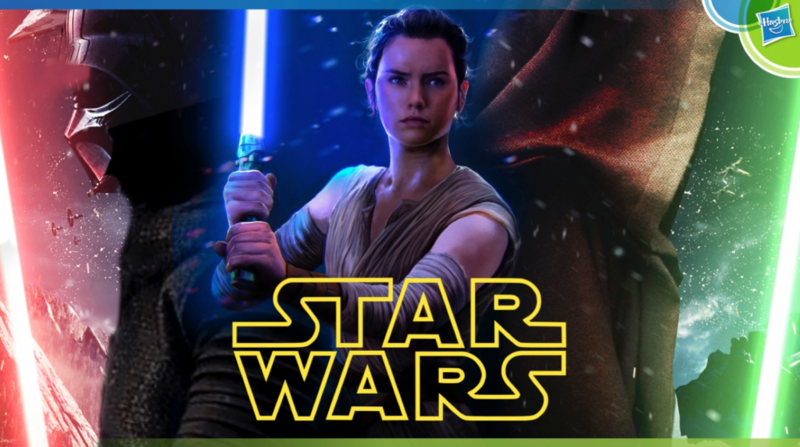 By all accounts, this looks to be a simple re-package of the Nerf Luke Skywalker Bladebuilders Lightsaber that hit stores on Force Friday (yes, there was product released that day) but now with Rey taking front and center on the card art – as she should. Thanks to @thisginger_kt on Twitter for the heads up. 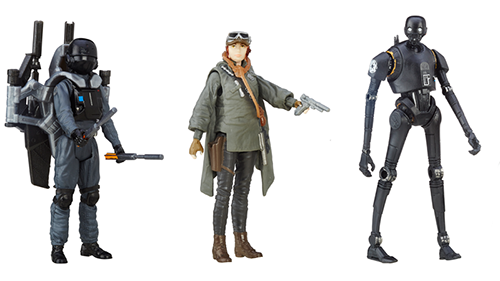 Hasbro this morning gave their pre-Toy Fair Investor Presentation and has made the document available to the public, within the pages you can see new product from figures, to Bladebuilders and more, but also a strong female presence as well. Disney has revealed details of new Star Wars: The Force Awakens products kept under wraps to preserve surprises for fans. 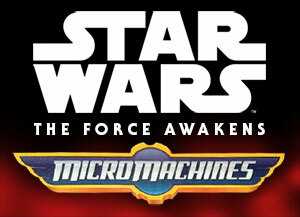 Rebelscum has posted several images of the new MicroMachines Millennium Falcon playset (and cross-sell items) that has hit ToysRUs. 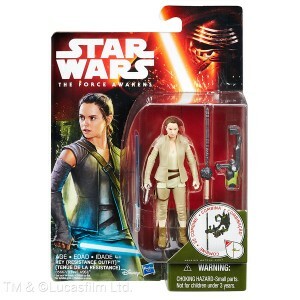 Also on shelf were new Nerf items from The Force Awakens as well. Click on over to check them out.